A variety of solutions exist when you are looking to have a great smile. Yet the first step in a good smile is a great oral hygiene routine. Flossing each day and brushing at least two times a day results in a healthy mouth day after day. In addition to oral hygiene, however, it is also imperative to visit our Manteca dentist for a dental exam. These oral health steps along with a good diet keep your smile and mouth in check. Still, we understand that unpredictable injuries occur and health complications arise. When something happens to change your smile, have confidence that our team can rebuild your smile regardless of the cause. The practice of preventing tooth decay, bone loss, gingivitis, and more is preventive dentistry. It focuses on retaining your oral health by preventing damage to your oral cavity. Regular appointments with our Manteca dentist allow us to catch a problem before it does any damage. A professional cleaning removes plaque and tartar buildup to prevent gum disease; a filling protects the tooth from tooth decay. When an oral health issue goes beyond preventive methods, we look to cosmetic enhancements to correct the issue. A tooth that has been chipped can be fixed by a dental bond. 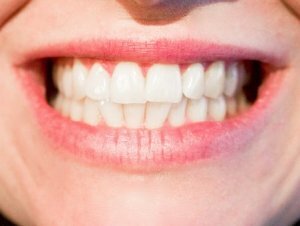 Teeth that have yellowed due to an illness can be whitened with our in-office whitening service. Cosmetic dentistry is an art form in which our Manteca dentist can sculpt or rebuild your tooth or smile. When you are unhappy with your smile, talk with us about how we can make it look great once again. Restorative dentistry works to bring the teeth back to full functionality. Restorative solutions might include a bridge, or a root canal procedure to restore your smile. Dental implants and crowns replace a missing tooth, thus restoring your smile. Our Manteca dentist relies on restorative procedures to keep your smile looking fantastic year after year. We understand how a good smile affects our patients’ lives and attitudes. It can boost self-esteem and give you more confidence in your daily endeavors. It enhances your facial features and creates a welcoming, warm personality. Don’t suffer because you aren’t happy with your smile. Our Manteca dentist and staff can help you get the smile you want. Consult with us to learn about our services; together we can create an amazing smile. Follow our team on Facebook for tips on oral health or call us if you’re ready for a great smile.